As a continued testament to Blackmagic’s cameras and their versatility, the Pickathon Music Festival used five Blackmagic Studio Cameras with ATEM Live Production Switchers to stream the festival and its musical acts live. Held outside of Portland, OR this past August, the Pickathon Music Festival was a three day music festival that had over 50 musical acts across seven stages. The Blackmagic Studio Cameras paired with their ATEM Switchers allowed Pickathon producer, Ryan Stiles, and his crew to cover all of that and more. Relying completely on this live workflow, the nearly 300 crew members managed to handle their live broadcasts, allowing people all over the world to watch the entire festival no matter where they were located. Fremont, CA – September 22, 2014 – Blackmagic Design today announced that Pickathon Music Festival used five Blackmagic Studio Cameras and six ATEM Live Production Switchers, as well as a large number of additional Blackmagic Design products, as the backbone of its live production and live streaming workflows. 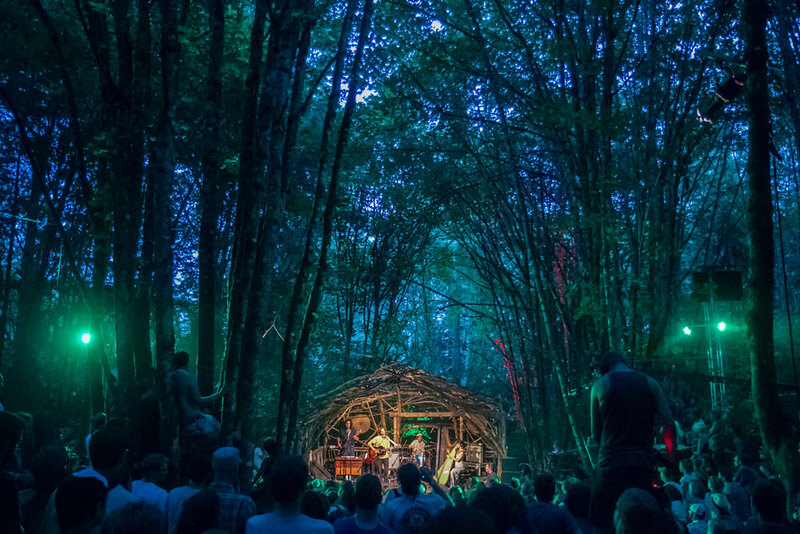 Held outside of Portland, OR in early August, Pickathon brought together more than 50 musical acts across seven stages for a three day music festival on the Pendarvis Farm and in the surrounding woods. Not only is Pickathon unique in terms of location, with one stage nestled in the woods and made entirely out of tree branches, but it also relied on a unique live production workflow. Pickathon’s producer and a production veteran, Ryan Stiles, coordinated a crew of 68 staff and 223 volunteers to handle live broadcasts to monitors around the festival grounds, as well as 44 hours of live streams to a global Internet audience via the festival’s and local station KEXP’s websites. Tens of thousands of people enjoyed the festival, whether at the event itself or watching live streams online. Located near the main stage, a 57 foot broadcast truck housed an ATEM 1 M/E Production Studio 4K and ATEM 1 M/E Broadcast Panel, which were the heart of the live production workflow. The switcher handled all the stages’ feeds along with three computers feeding it edited content. “The ATEM switchers allow Pickathon to accomplish tasks that would otherwise be impossible. We needed stability and a universal system that’s the same no matter what stage the directors are at. The simplicity and ease of use of the software and control over the network is an all around win for us,” said Ryan. “The importance of using it cannot be stressed enough. One of Pickathon’s challenges is that we are not a crew during the year. We come from all different types of employment in the industry, and I need everyone to understand the equipment within a five minute period so they can focus on our aesthetic rather then fuss with technology. The ATEM switchers and Studio Cameras allow us to do just that. The staff were divided among the rest of the stages and used a mix of cameras, switchers and converters, including the Blackmagic Studio Cameras HD, ATEM Production Studio 4K, ATEM 1 M/E Production Switcher, three ATEM Television Studio switchers, six ATEM Camera Converters, three ATEM Studio Converters, HyperDeck Studio Pro and three HyperDeck Shuttle SSD recorders to record the footage, two H.264 Pro Recorders and 13 Mini Converters. 3,800 ft. of optical fiber cable connected the stages to the main broadcast truck. A Blackmagic Design Production Camera 4K was used to shoot private sessions around the farm with the musicians called “On the Farm.” These sessions were also streamed during the festival and will be released throughout 2015. Product photos of Blackmagic Studio Camera, Production Camera 4K, ATEM Live Production Switchers and all other Blackmagic Design products are available at www.blackmagicdesign.com/press/images. Blackmagic Design creates the world’s highest quality video editing products, digital film cameras, color correctors, video converters, video monitoring, routers, live production switchers, disk recorders, waveform monitors and real time film scanners for the feature film, post production and television broadcast industries. Blackmagic Design’s DeckLink capture cards launched a revolution in quality and affordability in post production, while the company’s Emmy™ award winning DaVinci color correction products have dominated the television and film industry since 1984. 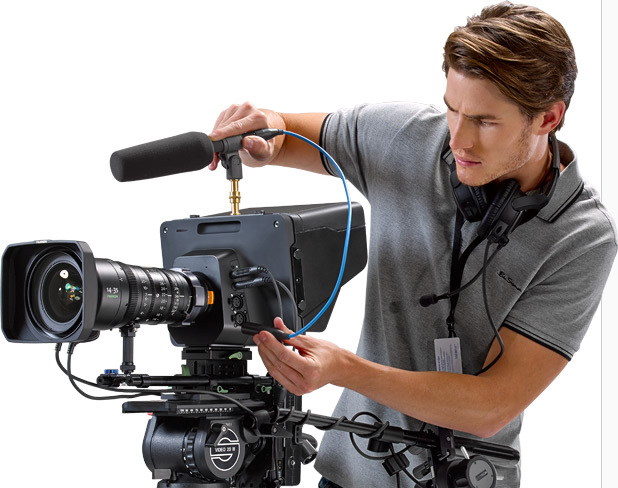 Blackmagic Design continues ground breaking innovations including 6G-SDI and 12G-SDI products and stereoscopic 3D and Ultra HD workflows. Founded by world leading post production editors and engineers, Blackmagic Design has offices in the USA, UK, Japan, Singapore and Australia. For more information, please go towww.blackmagicdesign.com.